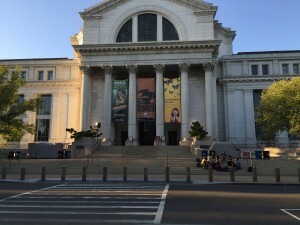 The Washington, DC metro area consists of the nation’s capital city, along with neighboring land in northern Virginia (15 neighboring counties and independent cities), southern Maryland (5 counties) and the far eastern corner of West Virginia (1 county). The population is slightly over 6 million people, which is greater than the Atlanta MSA’s population of 5.5 million people. The DC metro area is the seventh largest MSA in the country. The land area is 5.5 thousand square miles, which is much smaller than the Atlanta metro area’s 8.4 thousand square miles. Given the greater population and the smaller land area, it is no wonder that the population density of 1,084 persons per square mile is significantly higher than Atlanta’s density of 630 persons per square mile. Therefore, if opening a location in DC or northern Virginia, we would not need to travel as far to service a comparable amount of people. The preceding fact is important, since the traffic is horrendous in the DC area, especially within and immediately surrounding the Washington, DC beltway. In addition to Washington, DC, the metro area contains several other significant cities, including Arlington, Alexandria, and Reston in Virginia and Bethesda, Frederick, Gaithersburg, Rockville, and Silver Spring in Maryland. Due in great part to the substantial number of high-level federal government employees and the notable number of corporate headquarters facilities, the DC metro area is the most educated and affluent MSA in the United States. According to a Brookings Institution study based on census data, 47% of all DC metro adults age 25 or older earned at least a bachelor’s degree and more than 23% have earned graduate or professional degrees. In the most educated pocket, Arlington, VA, 68% of adults earned at least a bachelor’s degree. In comparison, in the Atlanta metro area only 34% of adults 25 or older possess 4-year college degrees and 12% possess a graduate or professional degree. According to the US Census, the DC metro area median household income is slightly over $90,000 per year, whereas in the Atlanta metro area the median household income is $58,400 per year. 8 of the nation’s 13 wealthiest counties reside within the DC metro area, including the top two- Loudon and Fairfax. The Council for Community and Economic Research states the average wage in the DC metro area is $32.65 per hour, whereas in Atlanta the average hourly wage is $25.71. However, adjusted for the cost of living the average wage in DC is $23.52 and in Atlanta $25.60. A lot of the cost of living difference can be attributed to housing prices. According to Zillow, the median home price in the DC metro area is $356,000, whereas, the median home price in the Atlanta metro area is $159,000. The economy is diversified. The federal government is the largest employer, with many federal agencies and the Department of Defense headquartered in Washington, DC. In addition, the defense, biotechnology, engineering, energy, finance, communications, and finance industries are well represented. But, DC isn’t all about government and business. The American College of Sports Medicine Fitness Index ranks the DC metro area as the nation’s fittest. This is no surprise after one walks through the Federal Triangle in the late afternoon or around lunchtime There are a vast number of athletic persons running around the green. When people aren’t running or otherwise working out there is plenty of transportation. The Washington Metro is one of the nation’s best subway systems and a great alternative to avoid the often clogged roadways. In addition, there are two major airports, Ronald Reagan (Washington National) and Washington Dulles. Yet, why leave the city when there is so much to do within the city. There are multifarious government sites and tours, magnificent museums, theatre and concert halls, and teams in every major sport, including the NFL, NBA, MLB, NHL, WNBA, and MLS. The Washington DC metro area offers a number of opportunities if and/or when CPT chooses to expand northward. We investigated these opportunities during our recent trip. However, as with other recent journeys, we also took some time to see the sites and have some fun. 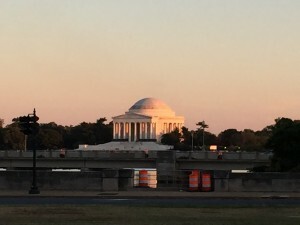 The Jefferson Memorial as seen from the World War II Memorial. Jefferson was the primary author of the Declaration of Independence, the country’s first Secretary of State, the second Vice President, and the third President. The building was completed in 1939 and the statue added in 1943. 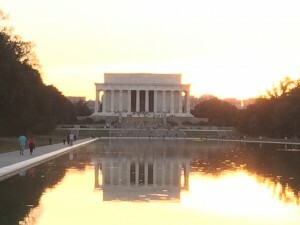 The Lincoln Memorial and Reflecting Pool. The Lincoln Reflecting Pool is the largest reflecting pool in Washington, DC. 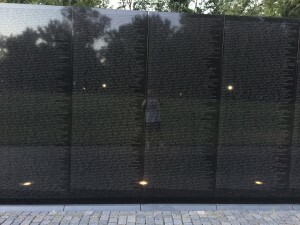 The photo illustrates well how the pool reflects the image of the Memorial. 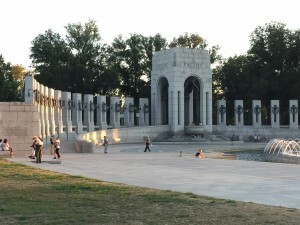 The Pacific section of the World War II Memorial. 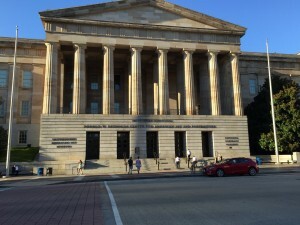 The Smithsonian National Portrait Gallery. James Bond’s Aston Martin from the movie Goldfinger. 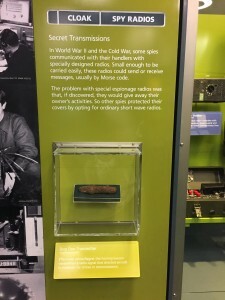 The International Spy Museum had many exhibits that were highly educational regarding the history of spies in warfare and politics. 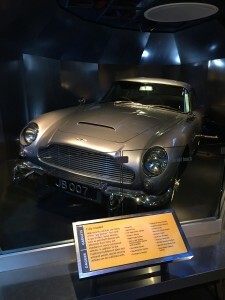 They also had an entire exhibit dedicated to a fictional spy, James Bond. 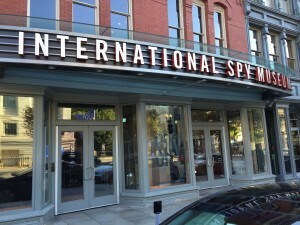 The entrance to the International Spy Museum. I highly recommend paying a visit if you are in Washington, DC. Spies will really get down and dirty to transmit secret messages. 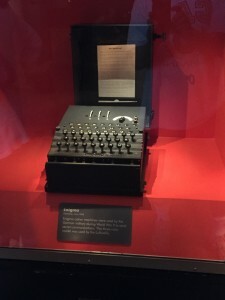 The German Enigma Machine that British mathematician Alan Turing decoded in the movie The Imitation Game. The entrance to The Muse um of Crime and Punishment, one of the most unique museums I have ever seen. 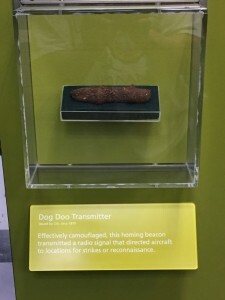 Since CPT is a dog training and behavior modification company, we were very excited to see a dog feces radio in the International Spy Museum. The Museum of Crime and Punishment displays artifacts from noted criminals throughout history. 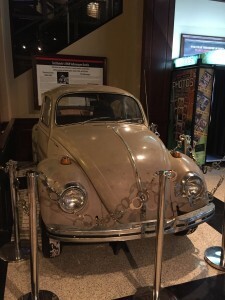 Here we see Ted Bundy’s Volkswagen Beetle. 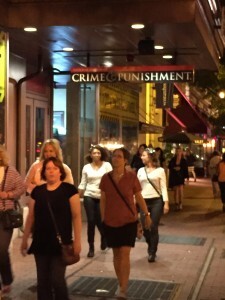 The Museum of Crime and Punishment is unlike any museum in the Atlanta area. 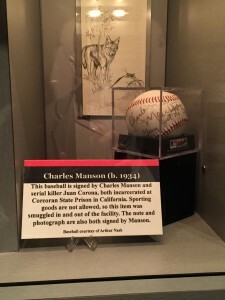 Here we see a baseball signed by Charles Manson and Juan Corona.